Mrs. Toad Sews: The Little White Dress (LWD) Contest Starts today! 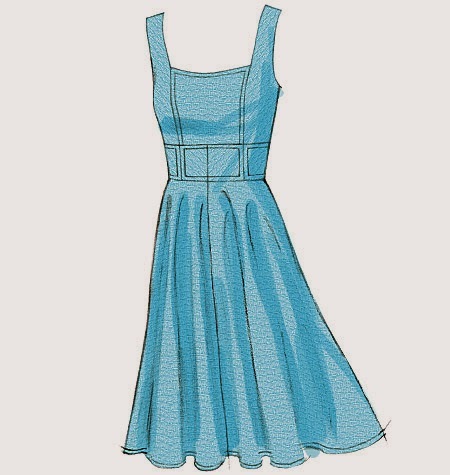 Today is the first day for the Little White Dress Contest on PatternReview.com. I spent time preparing the fabric, preparing the pattern, and starting my muslin yesterday. I am using white handkerchief linen for the fashion fabric with white silk organza and white china silk/habotai for the lining. I bought all from Dharma Trading Company. To make Vogue 8648. 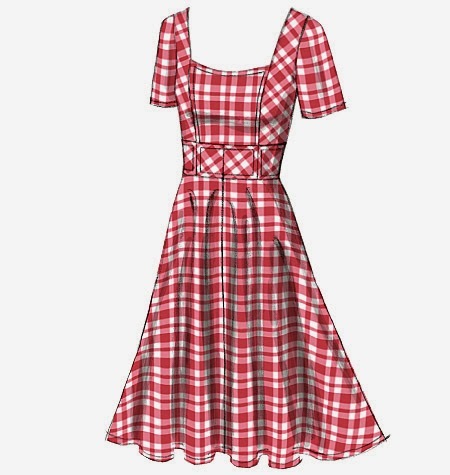 I'm still not sure if want short sleeves, no sleeves or cap sleeves. I'm also trying to decide about raising the back or leaving it as is. The linen and china silk I washed in hot water. I then dried the linen on hot and repeated two more times. I want to relax the linen fibers and soften the fabric to help it drape better. I ironed the china silk right out of the washer until it was dry. The linen is loosely piled in a basket waiting to be ironed before joining the china silk in the closet on its own hanger waiting to be cut. I am treating the silk organza only by ironing with steam. This is another option that I haven't ruled out. While the fabric was in the washer I cut the pattern, ironed it with a dry iron and marked the stitching lines. Since this is one of the Big 4, the seam lines are 5/8 inch, except for the hem. The lines don't show well in the photo. I used green Sharpie so that the marks wouldn't run off. I ran out of time/energy and that was all I finished for the LWD. I also prepared the pattern for the Free Marfy sew-a-long with AChallengingSew.typepad.com. I will write about that later. Today I started muslin-ing the dress. Of course, Murphy seems to live in the house. I pulled my bolt of muslin and there wasn't even enough for the bodice, let alone the rest of the dress. So I had to run off to Joann's with a 50% off coupon and grabbed a full bolt. Why do we always run out of what we need right as we are trying to get started? Once back I ironed the muslin and laid it out with the pattern pieces. I left room to extend the seam allowance to an inch or more. Then I marked each piece using wax marking paper. I marked the stitching lines, notches (which are now lines) grain line, and any other important information. 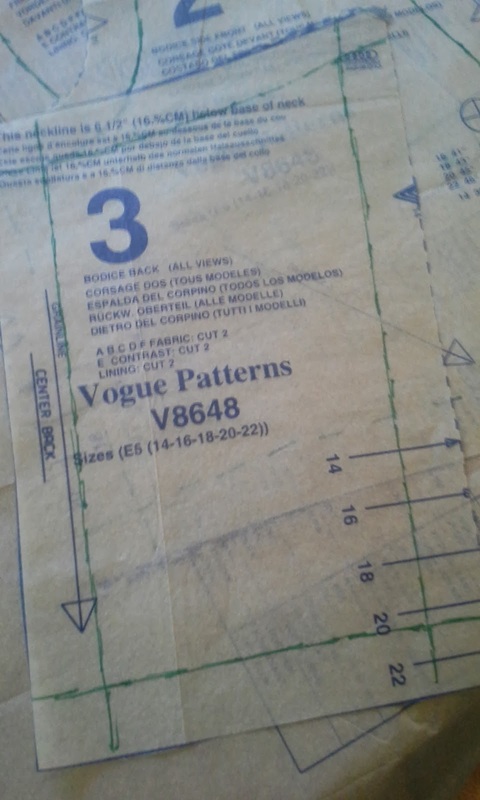 I then removed the pattern pieces and marked the reverse. 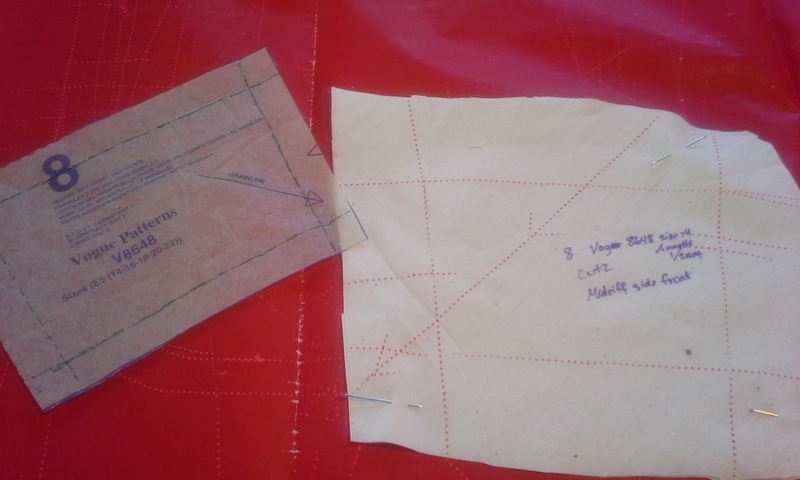 After all of the lines were marked, I traced each stitch line with the sewing machine with a regular stitch line. I ironed all the pieces after stitch tracing. I used some old thread that was marked as 20 cents. It's nice to get the old thread out of here and I also need a color that is visible on both sides of the fabric. I've put together the bodice, midriff and the skirt--but those three sections are still separate. Tomorrow, I will finish the muslin and try to fit it. I'll try to have some pictures too. I forgot to take pictures of putting it together.